This 9 oz. stainless steel flask slides easily into a jacket or pants pocket. 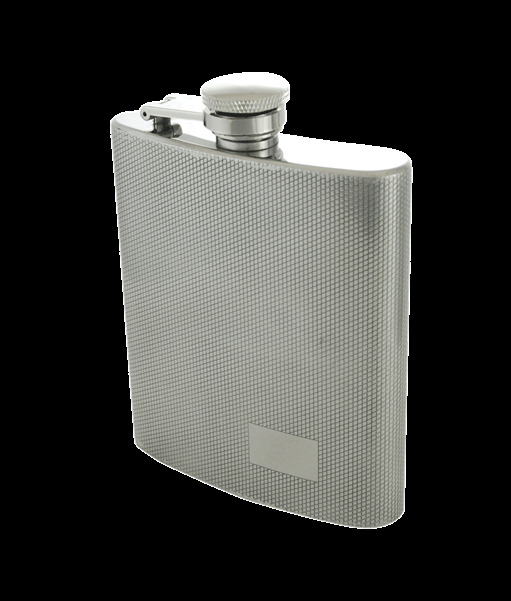 It's curved to fit the hip.This flask has a beautiful diamond pattern. The front lower right hand corner has a rectangle suitable for engraving. Top and bottom are rimless with a hinged cap. Flask dimensions: 5 1/8" X 3 3/4"